A Merry Christmas Because of a Happy Easter! As we come upon Christmas Day, it is important that we remember that we celebrate the birth of Jesus because we can celebrate His death and His resurrection. Without His death on the cross, we would still be dead in our sins, and without His resurrection, we would not have victory over the grave and the gift of eternal life in Heaven. Therefore, the celebration of Jesus’ birth is dependent upon His purpose for coming to the earth- to seek and save the lost. 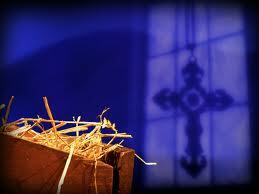 So as we wish one another “Merry Christmas”, let us remind ourselves of a “Happy Easter” to come!